The Old Farmhouse is a great place to play!! The Old Farmhouse Hours and Fees. Regular opening hours are 7am - 6pm. Extended care 5 am-7am, and 6pm- 9pm. Second Shift, Weekend and Overnight care - by private arrangement. 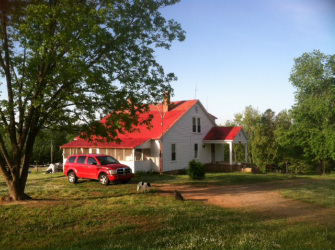 The Old Farmhouse has an open door policy for parents whose children are in attendance. ﻿Full time/regular daytime hours :﻿ 12 months - 2 yrs = $110/week. 2 yrs - 5 yrs =$100 week. Extended Care - add $25 per week. After School care - $40 week. Discounts for multiple children from same family. For childcare assistance, Please ask about subsidy program.